With apologies to the great poet Robert Frost, the game was ours before we were the game’s. And the game goes on decade after decade and now into the 2018 baseball post-season it still continues as part of the fabric of American culture. Much, however, has changed in the national pastime as a look back shows. 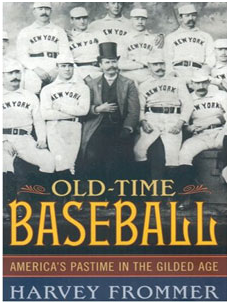 The early environment of baseball games was that of a gentlemen's affair marked by the absence of spectators except for those invited by the teams. What spectators there were lolled about on the grass or sat on chairs or benches. The umpire was generally attired in tails and a tall black top hat, and in those early years he seated himself at a table along a baseline. Circa 1860, the general public became more and more involved as spectators, and winning replaced gentlemanly ways as baseball's operative factor. The Cincinnati Red Stockings began play in 1876 in the National League. To get to the ball game, fans had to ride on special trains or in carriages. Crowds of 3,000 were common and considered a good payday for the team. When the National League came into being, the White Stockings played their home games in a rickety wooden park on Dearborn between 23rd and 24th streets on Chicago's West Side. During the 1880s and 1890s most parks were surrounded by wooden stands and a wooden fence. Some of the stands were partially protected by a roof, while others were simple wooden seats of sun bleached boards. That is how the word bleachers came to be. When those parks were filled to capacity, fans were permitted to stand around the infield or take up viewing perches in the far reaches of the outfield. John B. Day transferred the Troy National League franchise to New York in 1883; arrangements were made early on for games to be played on the polo field of James Gordon Bennett, publisher of the New York Herald. For most of the 1880s, the team played its games on a field at 110th Street and Fifth Avenue, across from Central Park's northeast corner. In 1897,a game between Boston and Baltimore drew more than 25,000 fans, the overflow crowd was permitted to stand just a few feet behind the infielders, creating a situation where any ball hit into the throng was ruled an automatic ground-rule double . In 1899, the Giants moved to New York City plot 2106, lot 100, located between 155th and 157th streets at Eighth Avenue in upper Manhattan. The location was called "the new Polo Grounds," a horseshoe-shaped stadium with Coogan's Bluff on one side, the Harlem River on the other. The Polo Grounds seated 55,897, the most of any facility in the National League. A four-story, misshapen structure with seats close to the playing field and overhanging stands, it was an odd ball park that afforded fans the opportunity to be close to the action. There were 4,600 bleacher seats, 2,730 field boxes, 1,084 upper boxes, 5,138 upper reserved boxes, and 2,318 general admission seats. The majority of those who came to the Polo Grounds sat in the remaining lower general admission seats. The visitors' bullpen was just a bench located in the boondocks of left center field. There was no shade from the sun for the visitors or protection from Giant fans who pelted opposing pitchers with pungent projectiles. The upper left field deck hung over the lower deck; and it was virtually impossible for a fly ball to get into the lower deck because of the projection of the upper deck. The overhang triggered many arguments, for if a ball happened to graze the front of the overhang it was a home run. The double decks in right field were even. The short distances and the asymmetrical shape of the convoluted ball park resulted in drives rebounding off the right field and left field walls like billiard shots. 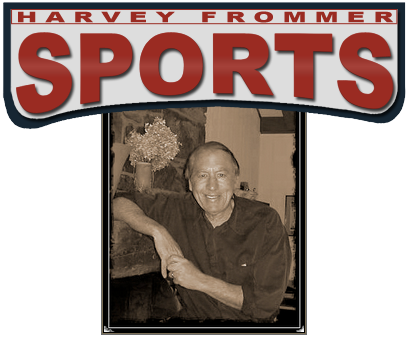 And over the years hitters and fielders on the New York Giants familiar with the pool table walls of the ball park had a huge advantage over opposing teams. Fires and progress would make steel and concrete replace the wood and timber of the nineteenth century ball parks. The idiosyncratic dimensions of stadiums, the marching bands, even the real grass in many instances-all of these would ultimately become footnotes to baseball history. As late as 1900 some clubs even allowed fans to park their automobiles or carriages in the outfield. The environment at those games made it difficult for fans to follow the action clearly. Even though scorecards and programs were sold, no public address system existed, and there were no names or numbers on the players' uniforms. Players were sometimes pressed into service to double as ticket takers. And during breaks in the action on the field, the dull moments were enlivened by the festive performances of brass bands. The St. Louis National League entry was known as the Browns and then the Perfectos, an odd name for a club with a not so perfect track record. The team left the National League twice, then returned and finished twelfth twice, eleventh three times, tenth once, ninth once, and once in fifth place in the years 1892-99. To attract customers to Robinson Field, St. Louis owner Chris Von der Ahe transformed his ball park into what he called "the Coney Island of the West." He installed chute-the-chutes (tubs that plunged with their riders into a pool), night horseracing, a Wild West show. The popular tunes of the day were played by the Silver Cornet Band-an all-female aggregation bedecked in long striped skirts and elegant blouses with leg-of-mutton sleeves and broad white sailor hats. In 1899, Chris Von der Ahe changed the uniforms around in his zest for more color-the new garments featured red trim and red-striped stockings. The new uniforms brought new nicknames for the St. Louis team - Cardinals or Redbirds, they were called, and so they would remain, one the last vestiges of that long ago time.